It’s that time of year – time to bring out the pumpkin recipes! I’ll admit that I’m not a big fan of pumpkin. I’ll have a slice or two of pumpkin pie at Thanksgiving and that’s enough to tide me over for the rest of the year. But… this pumpkin muffin recipe is delicious so I’ve decided to share it with you today. 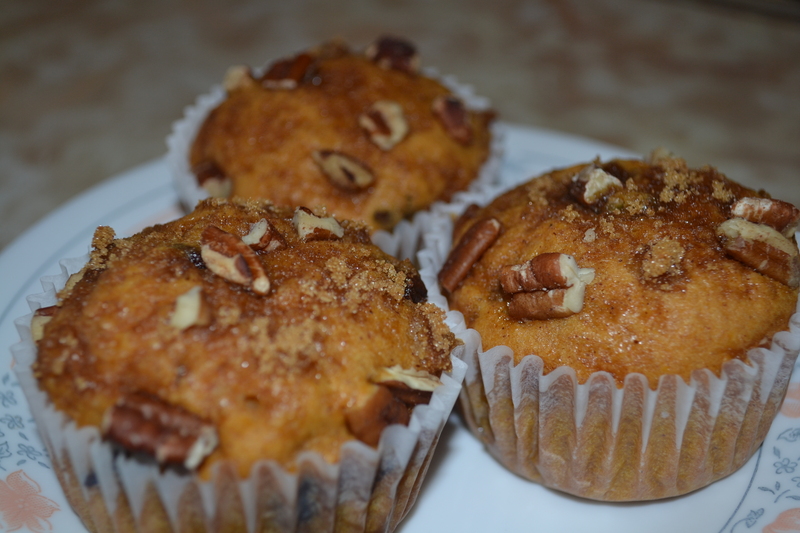 These muffins are really moist and pecans on the top are a nice added touch. Enjoy! Beat eggs slightly; add sugar, oil and pumpkin and beat thoroughly. Add dry ingredients. Beat smooth, then add chocolate chips. Topping: Sprinkle 1 teaspoon of topping on muffin before baking. Bake at 350 F for about 20 minutes. 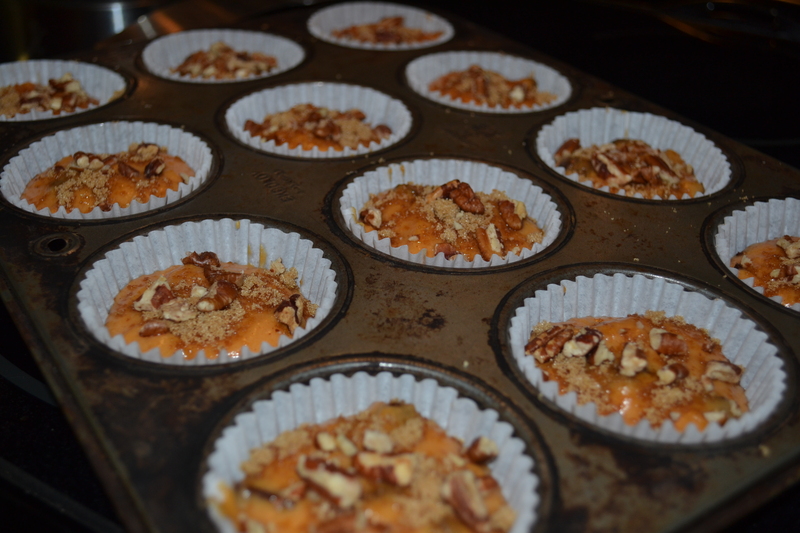 The batter in the muffin tins topped with pecans. What pumpkin recipes do you enjoy? Please share below. I love hearing from you. i’ll take some…you wanna send them in the mail. they look delicious. i may just have to make some. Unfortunately I don’t think they’d look very appetizing by the time they arrived at your place! But I definitely recommend them – they’re very easy to make. They looks really great. A lovely recipe and a great post. Yummmmmmmy – love pumpkin muffins Teresa! Yes, definitely steal this recipe! 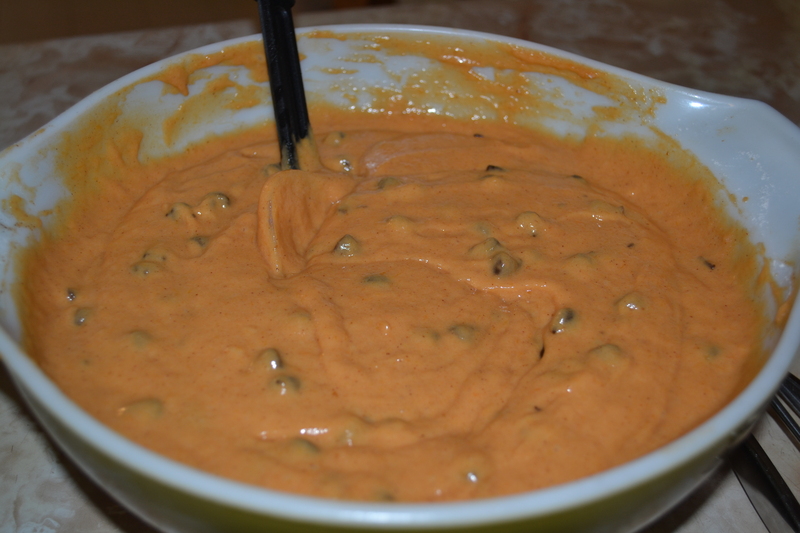 If you love pumpkin, this will be a great recipe for you. Thanks for reading and commenting on my blog!